MATS 2018 promises to be the biggest showcase of its kind to date, with a record number of expert speakers and a wide range of exhibitors lined up. Day one of MATS 2018 will see the keynote address delivered by Major General Robert Magowan CB, CBE Royal Navy, who will be in familiar territory in the city, having graduated from the University of Southampton in 1989. Major General Magowan’s current role is Assistant Chief of Naval Staff Capability and Chief of Staff Navy Command HQ. He has previously served as Deputy Head in Defence Intelligence and Commandant General Royal Marines. Major General Magowan was appointed Commander of the Order of the British Empire (CBE) in the October 2013 Operational Honours, which were awarded for services on operations in Afghanistan. MATS 2018 will feature a packed three-day programme of workshops, talks, demonstrations and networking, presenting a unique and valuable opportunity to find out about the latest developments in marine technology and how this technology is set to develop in the years to come. The event enables organisations to engage with the NOC to explore opportunities around funding, sharing ideas and getting those ideas in front of influential, high-profile end-users from the marine and maritime industries. The programme features a broad roster of expert speakers from across academia, industry and government organisations. Each day of the showcase will see leading figures from the world of marine autonomy and technology take to the stage to present on innovative, disruptive technologies, as well as presentations on new developments and future challenges. Day one will round off with an icebreaker session featuring posters from NEXUSS PhD students, highlighting research from some of the bright emerging talent that will be entering the jobs market over the next few years. Day two will feature a parallel session from the UK Hydrographic Society, with the day being rounded off with an informal networking supper. New for 2018 will be our series of ‘MAS Essentials’ sessions, chaired by leading experts on a variety of marine vehicle and technology types, offering a chance to lift the lid on how they operate. Marine autonomy is a transformative technology that continues to generate significant interest from major industry sectors, including offshore renewable energy, oil and gas, and defence, and the showcase event was established by the NOC in 2015 in response to this interest. Outside of industry, the technology has also captured the public imagination in the last 12 months with the popularity of ‘Boaty McBoatface’, the name given to one of the NOC’s Autosub Long Range (ALR) autonomous vehicles. ‘Boaty’ completed its first pioneering under ice mission earlier in 2018. MATS 2018 will feature presentations from the NOC's scientists and engineers on the development of next generation of autonomous system capabilities for the UK's National Marine Equipment Pool. Prof Russell Wynn, the NOC’s Chief Scientist for Marine Autonomous and Robotic Systems, said: “We are honoured to be able to welcome Major General Robert Magowan CB, CBE to the National Oceanography Centre for MATS 2018. 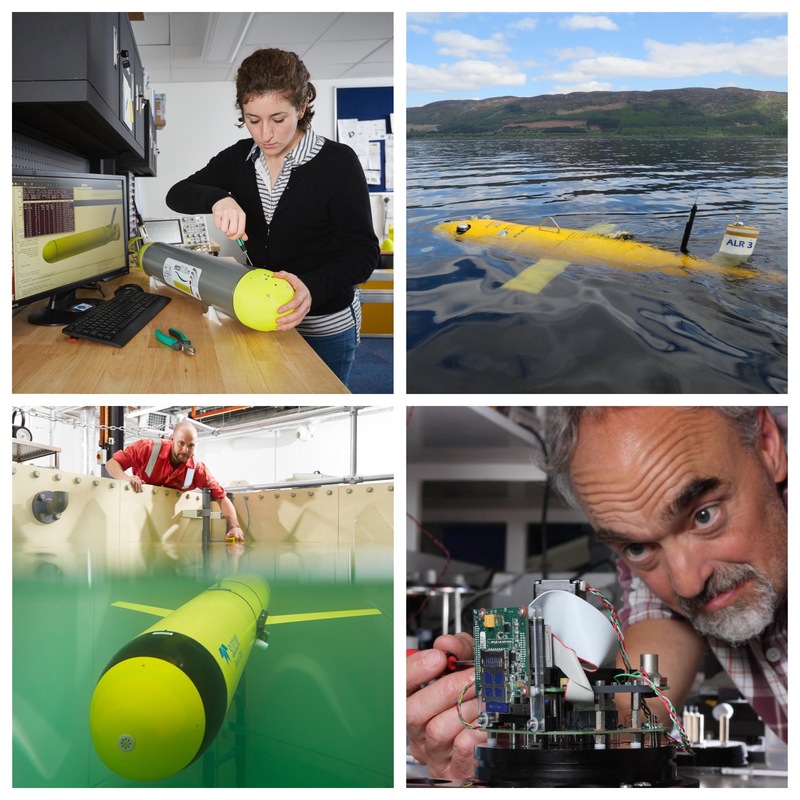 The NOC continues to support the Royal Navy in their ongoing development of marine robotic capability, including contributing to Unmanned Warrior in 2016 and recent marine robotics demonstrator missions off Orkney. Tickets are priced at £50 per day or £100 for all three days, which includes lunch and refreshments, and access to the icebreaker drinks event, poster sessions and an evening networking supper. The full programme and details on how to register are available on the NOC Conference website.